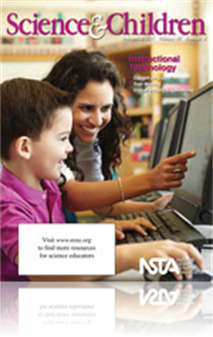 Journal ArticleDigital resources are stored online in your NSTA Library. Blogging helps elementary students communicate and reflect on their science practice. As a fellow educator I really appreciate the information given in the article. As teachers we often find ourselves saying we do not have enough time or resources to reach the goals set upon us from the local, state, or federal levels. Theis article has inspired me to try blogging in my classroom. The author has offered many suggestions to overcome the various barriers that may impede the process. I especially love the rubric that is attached. Time is limited especially with all the many topics that need to be covered in school. But so much can be done in the limited time that we have. Having limited resources is not a big deal either. You can accomplish a lot with limited time and resources.